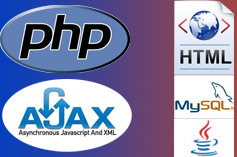 We are here to provide you best web development using latest technologies like PHP, MySql, Ajax, Jquery. B and P Software is a well known company with strong competencies in Open Source like PHP ,MYSQL, AJAX. Our cost effective Software Development provides high quality software solutions to partners globally. For more than five years, starting from its humble roots in Chandigarh, B and P Software has gained expertise in offshore software outsourcing, web development and software applications development for hundreds of clients globally including US, UK, Europe, Australia and South America.